Forty-seven sweet dogs rescued from a horrific puppy mill are starting to recover from their traumatic former life, with the help of staff at All 4 Paws Animal Rescue. According to the rescue's Facebook page, many of the dogs who are now in their care "had never touched the ground." These survivors were part of a puppy mill bust in Conway, South Carolina, last week, the South Strand News reports. 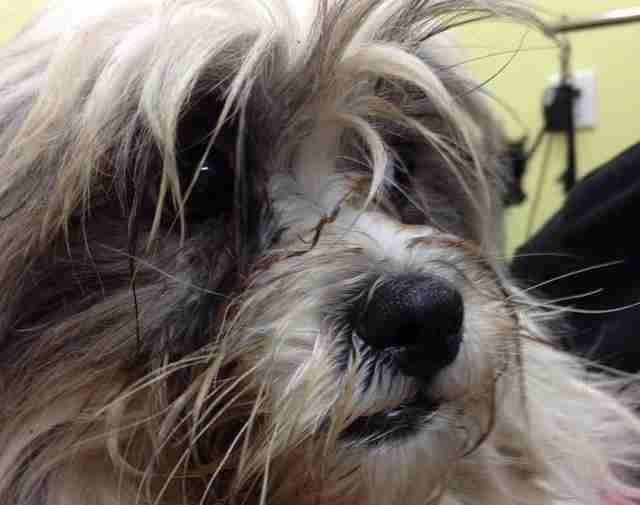 A total of 146 animals were saved when a private home was raided by police. 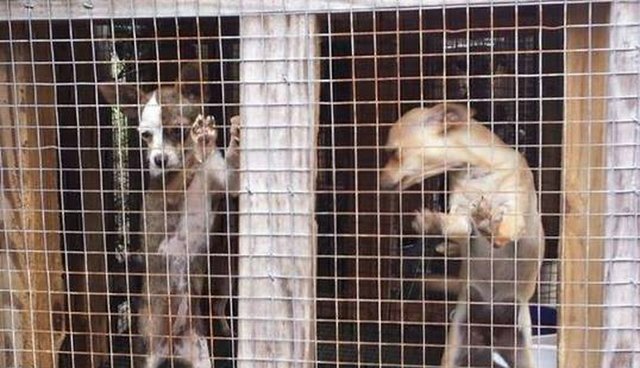 The dogs were found living in "wooden boxes raised about two feet off the ground," with "multiple dogs" in each filthy cage, according to a police report. The owner of the puppy mill, who still owns and runs Pet Safari pet store in Conway, initially filed a motion to have all the dogs returned to her, but she withdrew it Wednesday, the Sun News reports. She has paid her $445 fine. After their terrible experience in the backyard puppy mill, the dogs who were taken in by All 4 Paws obviously had some significant medical needs. The rescue posted on Facebook that the dogs were suffering from "skin infections, eye infections, ear infections, injuries, toenails grown into the pads of their feet" and "untreated medical conditions that are now critical." All 4 Paws has set up a donation page to help cover the $12,000 the rescue estimates they'll spend on care for the former puppy mill dogs. This sad story is yet another disturbing reminder of why no one should buy a pet from a store or an online seller - both support the cruel puppy mill industry. Hopefully with enough care and attention, these dogs will get a chance to be adopted into loving forever homes and know what it's like to be a pet, not a product. You can read about how to help All 4 Paws rescue more dogs here, or help the ASPCA with puppy mill rescues and other rescue efforts here.